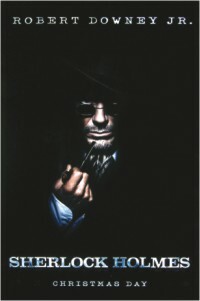 WITH the tag line “Nothing escapes him”, Robert Downey Jr plays the lead role of the latest release “Sherlock Holmes”. After finally catching serial killer and occult "sorcerer" Lord Blackwood (Mark Strong), legendary sleuth Sherlock Holmes and his assistant Dr. Watson (Jude Law) can close yet another successful case. But when Blackwood mysteriously returns from the grave and resumes his killing spree, Holmes must take up the hunt once again. Contending with his partner's new fiancée and the dimwitted head of Scotland Yard, the dauntless detective must unravel the clues that will lead him into a twisted web of murder, deceit, and black magic - and the deadly embrace of temptress Irene Adler (Rachel McAdams).